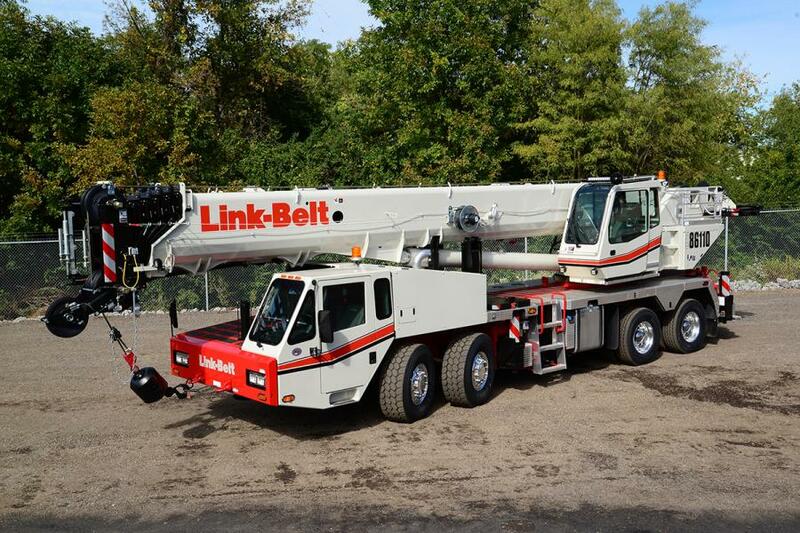 More than 15 machines will be on display, including the Link-Belt 110-ton (100 t) 164 ft. (50 m) main boom HTC-86110. Wood's CRW spring kickoff event for the 2016 construction season will be held on April 1 from 9 a.m. to 5 p.m. at 7096 Carlisle Pike in Carlisle, Pa.
More than 15 machines will be on display, including the Link-Belt 110-ton (100 t) 164 ft. (50 m) main boom HTC-86110, a U.S.-built 210-ton (190 t) Link-Belt all-terrain crane, rough-terrain cranes, including the RTC8080, as well as the 218HSL 110-ton lattice crawler. The TCC500 50-ton (45 t) tele-crawler is part of the fastest growing segment in the crawler crane market, fitting in places other cranes can't go, according to the manufacturer. On display from the smaller end of the scale will be industrial cranes from Shuttlelift and mini-cranes from Maeda, including the smallest tele-crawler on the market. In some cases, lifting can be done more effectively with something other than a crane, such as with the Merlo P120 26,000 lb. (11,793 kg) telescopic forklift and the rotating cab 45.21 10,000 lb. (4,536 kg) machine that offers 68 ft. (21 m) of reach and a variety of attachments. An inventory of late model used National boom trucks also will be available and on display. In addition to lifting machine solutions, the event will have industry experts on hand to assist with making your operation more successful. Wood's CRW partners attending the event will include Equipment Finance Companies; Block Manufacturer Rope Block; Lift Planning Software 3D Lift Plan; Telematics/Crane Fleet Management ICrane Trax; Hunter Peterbilt; Cranes 101 Crane Training; Manitowoc Crane Care; and Synthetic rope manufacturer Sampson. The event also will feature door prizes, special discounts on accessories and a crane operator skills competition that could qualify operators for the National CIC Competition. For more information, call 717/795-0700 or e-mail mshively@woodscrw.com.